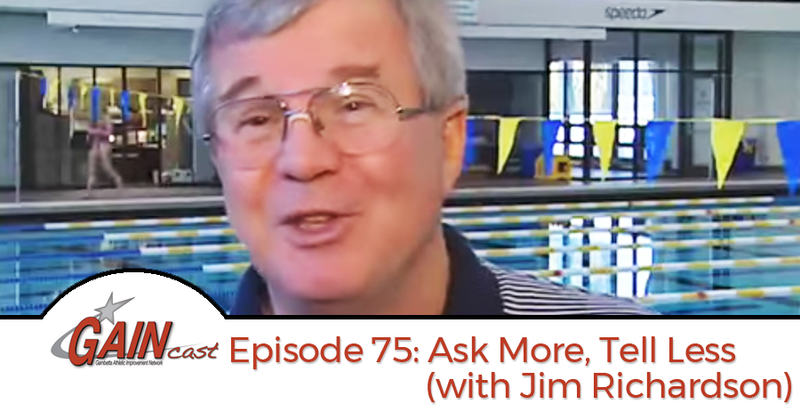 In nearly 30 years as head swim coach at the University of Michigan, Jim Richardson develop a powerhouse. Much of that success came from one thing: asking questions. On this week GAINcast we sit down with coach Richardson and hear how asking question led him to become a better coach, to rethink the athletic development of his athletes, to reduce injuries, and more.